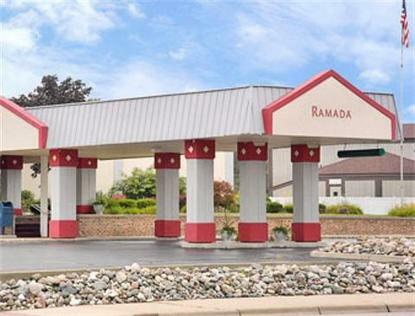 Ramada of Battle Creek Michigan, located right off Interstate 94 at exit 97, is a 130 room full service hotel. Conveniently located to all major attractions. All rooms are equipped with the latest of amenities such as 27in color cable TV with HBO, the all new Sealy pillow top mattresses, Moen Revolutions shower head, curved shower rod and larger, thicker fluffier towels. In addition all rooms offer FREE High Speed Wireless Internet access, coffee maker, hair dryer, iron and full size board just to name a few. (see amenities list for full list) A beautiful outdoor pool with sun deck in a court yard setting. A FREE full HOT breakfast is available to register guests each morning from 6am to 10am. Full banquet and meeting facilities are also available with a complete catering dept. to assist with your menu selections. So, when in Battle Creek Michigan for pleasure, business, group or tour make sure that you plan a stop at the Ramada of Battle Creek for the best value in the area.